1) In 6&apos;s min. Pass to the furthest man away. He sets to midfielder who times his run and punches the pass into the end man. 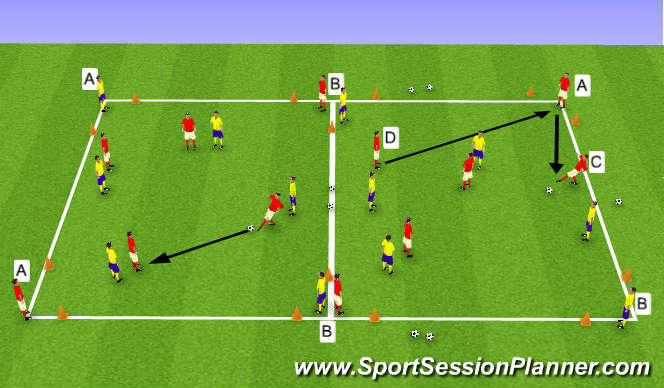 Person who sets stays in the same place, player who passes it to the end man follows his pass. Focus on the timing of the run, movement off the ball, zipping the pass, vary combinations. 2) Practice to mimic RB playing to CM , RB then playing into the striker who comes short and plays into the wide player. Vary combinations, foucs on setting, receiving weight of the pass. Both teams compete for possession of the ball. Players must maintain possession through sharp passing and constant movement. Points are awarded for passing to a corner player and receiving a return pass from the corner player. In Diagram (a) player (C) has made a successful pass to corner player (A). Player (A) must attempt to pass back to player (C) for a point to be awarded. player. Player 1 must receive a return pass from the target player and then dribble into the endzone for a point to be awarded. Play begins with a pass from the coach to any of the 8 attacking players. 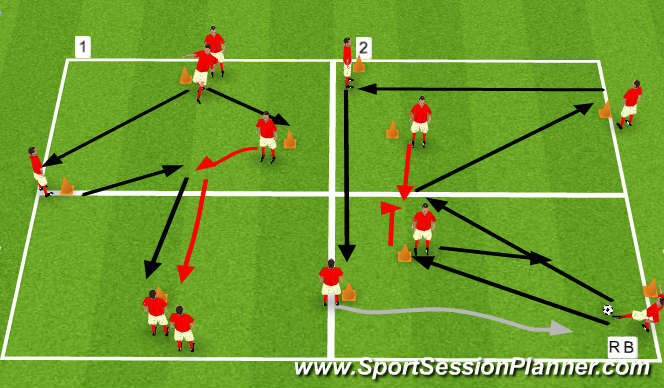 The 8 attacking players must attempt to complete 10 passes. 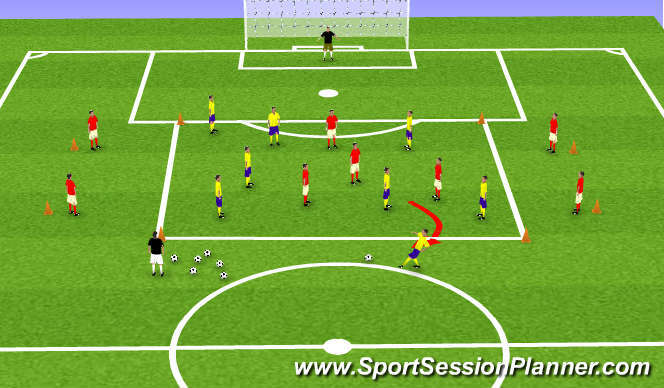 On the tenth pass one player from the attacking team can burst out of the central playing area and go to goal. 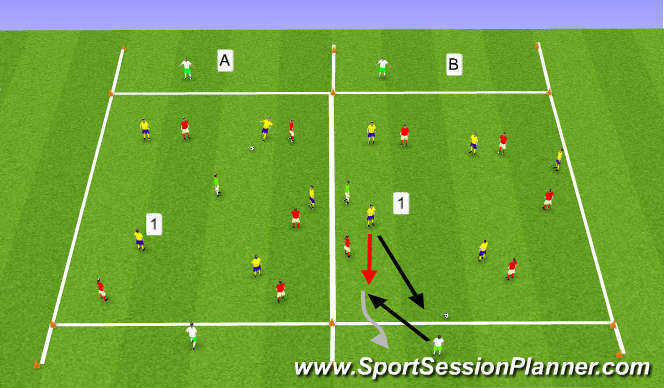 If the defensive team wins possession they must attempt to pass to any of the four target players positioned at the cones outside the central playing area. After a shot or a loss of possession the next ball is put into play by the coach. Play is continuous for a total of 6 balls from the coach.